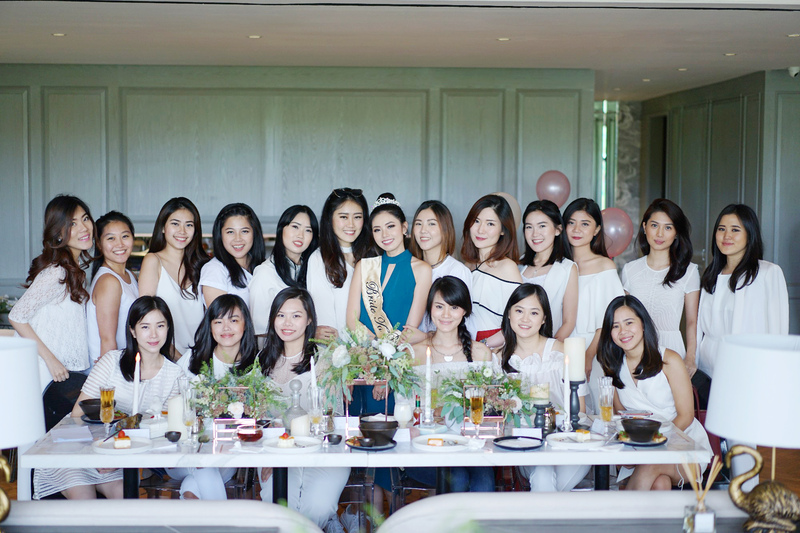 Around last month, my best girls threw me the best bridal shower. 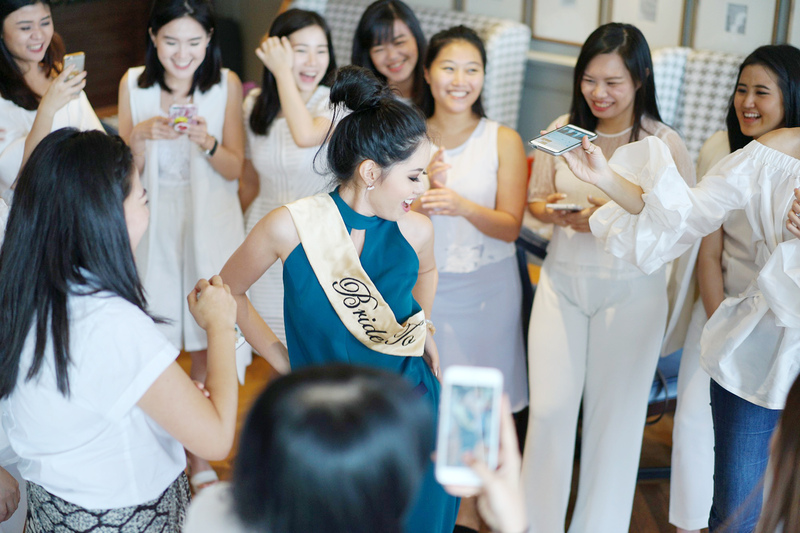 I couldn’t imagine a better and sweeter bridal shower than this – so today, I couldn’t help myself but to share a glimpse of my bridal shower to you. Even though it was not really a surprise, I wasn’t really involved with the planning and decided to leave everything to my girls. And it was amazing. 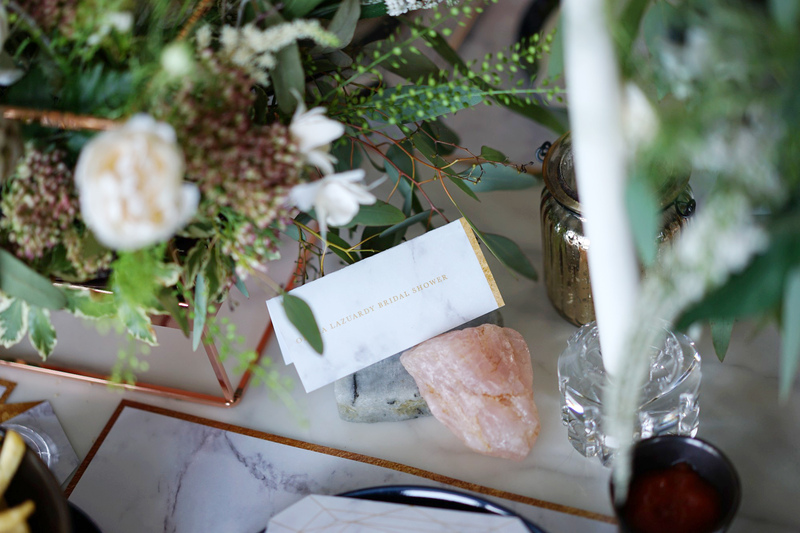 So here are 4 sweet and beautiful things about my bridal shower. 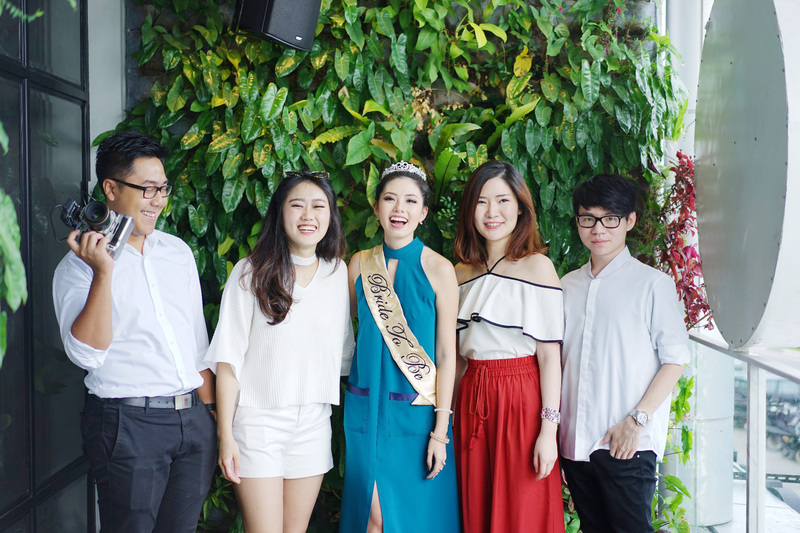 We celebrated my bridal shower at one of my favourite restaurants in Jakarta: Saine Daise, located around PIK area. 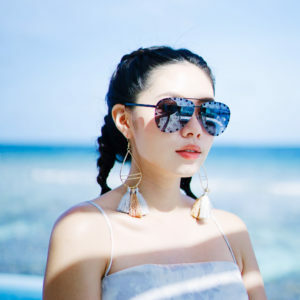 Saine Daise is one of those restaurants that you’d fall in love at the first sight. It has long harvest marble tables with tons of natural light poured in to the windows. 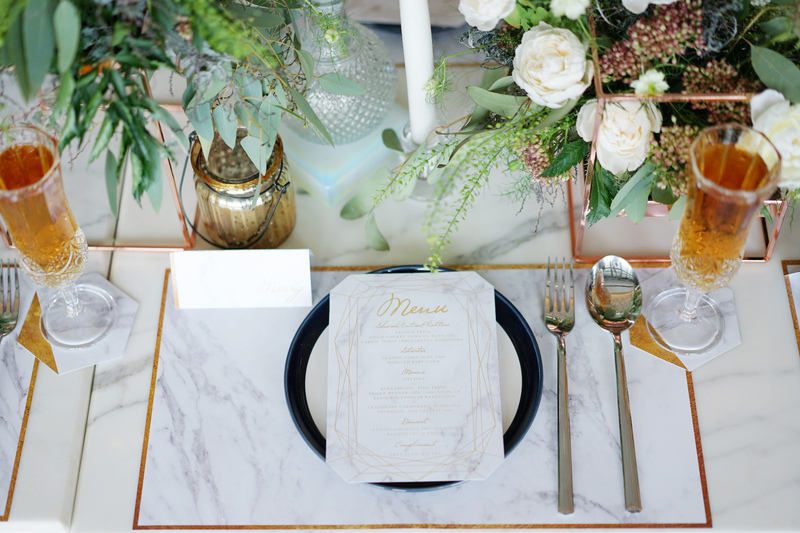 Not only does it have stunning interior design, Saine Daise also served exquisite menu. We enjoyed a full-course meal and they were all amazing. 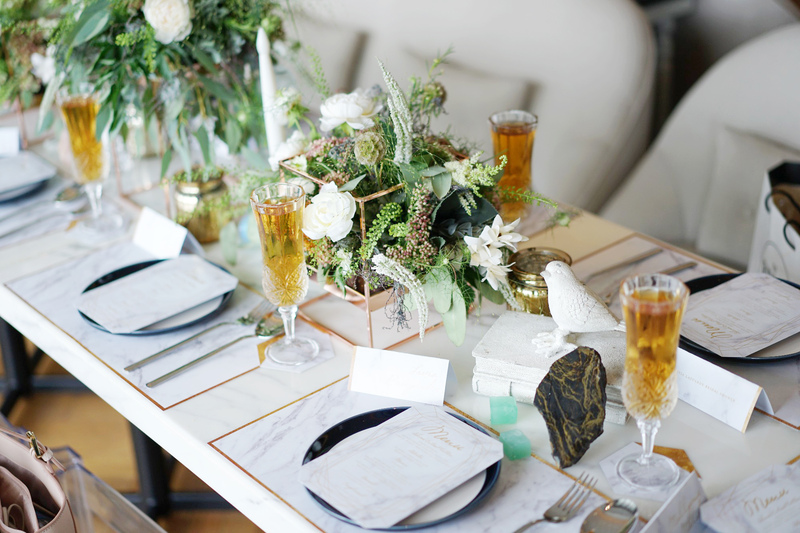 For the tablescape, we combined components of rustic, gold, marbles, candles, and foliage – all designed by Pea and Pie. I loved how they managed to blend the whole decoration with Saine Daise‘s interior design and gave a lush feel effortlessly. 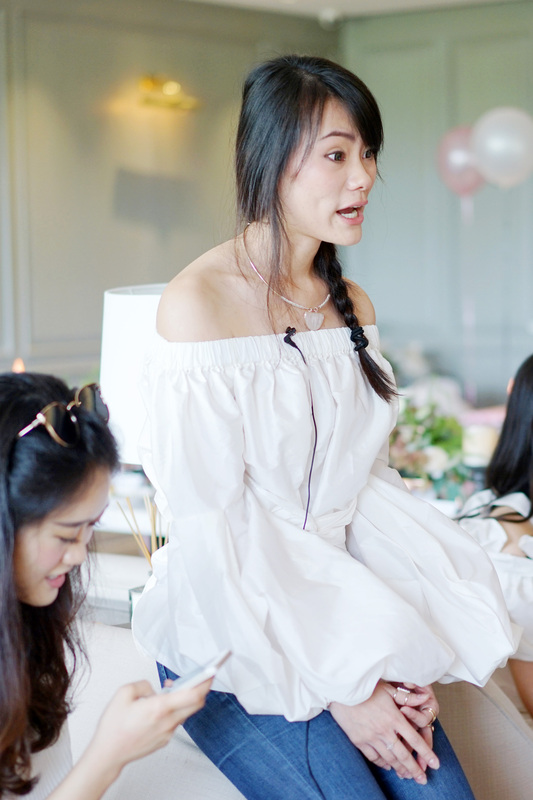 All my girls decided to host all-white bridal shower to leave me with any colour I want; so I chose this blue dress from Stella Rissa. 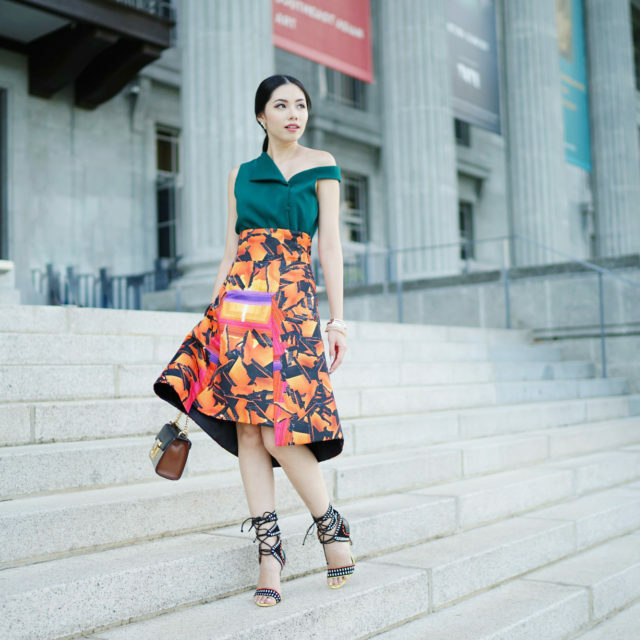 I aimed for elegant, smart and chic look – without being too revealing and this dress is perfect. I loved the halter neck and pocket details. I paired my outfit with baby blue Valentino studded heels and statement ring from Austin Lee Jewelry. None of these could ever happen without these incredible folks. 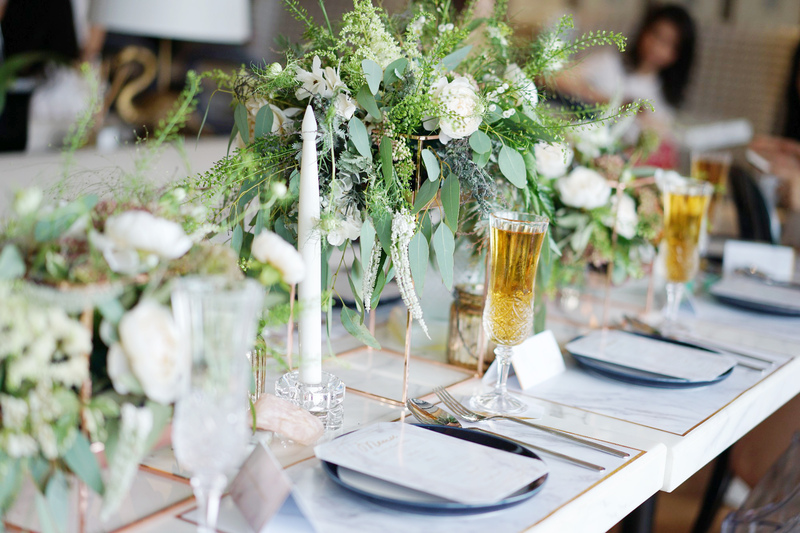 They arranged everything: from the decoration, food, venue, invitation, and games – and made me feel really loved. 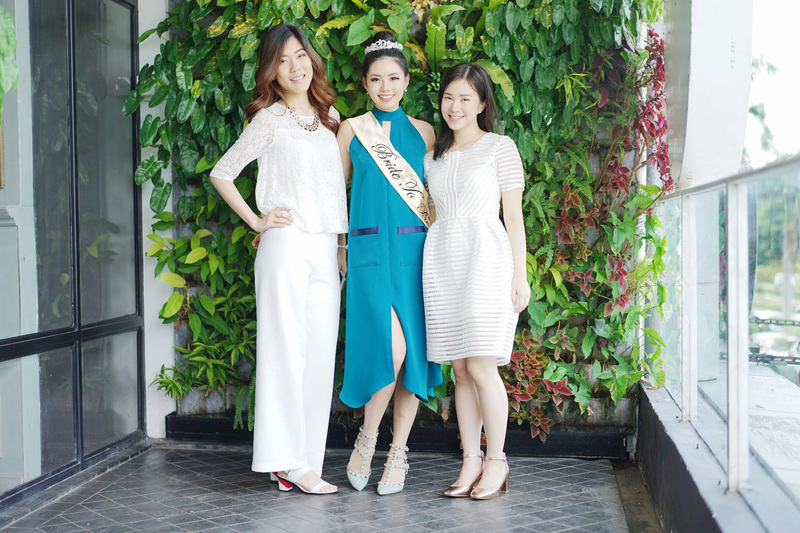 Throughout my bridal shower, they shared a lot of things that touched my heart and it will be forever in my heart. Watch the full episode below and drop some lovely comments! I hope you’d enjoy it.